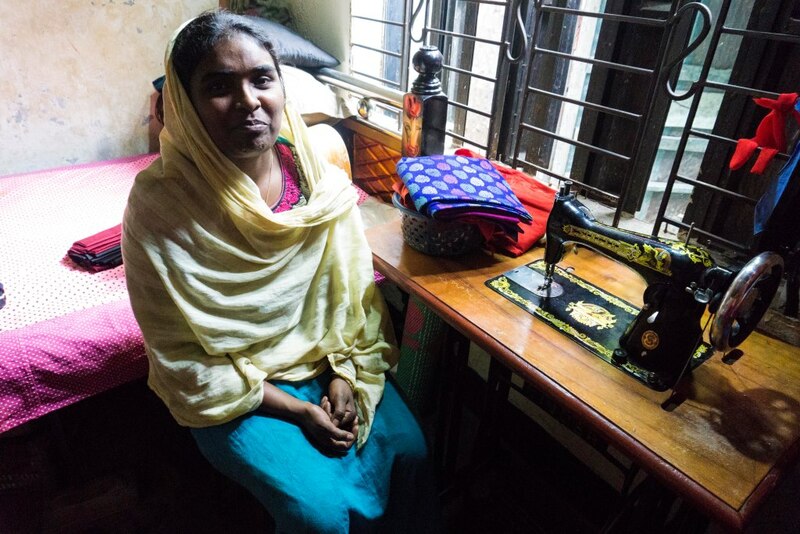 Since completing three months of sewing training with Symbiosis, Sabina took a loan from her group to buy her own sewing machine. She is able to supplement the family budget with the clothes she makes and repay her loan back to the group savings fund (without dipping into the family food budget). Sabina is one of nearly 5,500 women who have received training through the Symbiosis sewing initiatives.